Even in sunny West Texas where I live, obstetricians tell me that many pregnant women are vitamin D deficient or insufficient. Why? In this post, I flush out the whys and hows of vitamin D deficiency and how to get enough. Latitude: People who live in northern latitudes (above latitude of 40) and southern latitudes (below latitude of 40) are at risk for vitamin D deficiency because the amount of sunshine in winter months makes vitamin D production impossible. Recent research shows that vitamin D—which is actually converted to a hormone in the body, is responsible for a lot more than calcium status and bone density—it appears to affect all organ systems. Current research indicates vitamin D deficiency could play a role in causing many types of cancer. Some studies also show associations between vitamin D deficiency and risk of heart disease, stroke, hypertension, autoimmune diseases, diabetes, depression, chronic pain, osteoarthritis, osteoporosis, muscle weakness, muscle wasting, birth defects, and periodontal disease. Lack of the vitamin during pregnancy and infancy can have negative effects on bone development but may also affect the development of type 1 diabetes. In one study, increasing vitamin D intake during pregnancy reduced the long-term risk of type 1 diabetes by 80% in their infants. A recent analysis of 16 studies concluded that, vitamin D supplementation during pregnancy may decrease the risk of pre-eclampsia, low birthweight and preterm birth. Many researchers agree that the current Dietary Reference Intake for D is underestimated. Dr. Michael Holick, a researcher from Boston University’s Vitamin D, Skin, and Bone Research Laboratory, suggests that pregnant and breastfeeding women need 1,000-2,000 IU of daily vitamin D from diet or supplements when vitamin D production from sun exposure is inadequate. 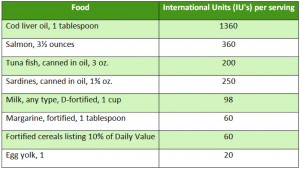 The suggested Dietary Reference Intake for Vitamin D is 600 IU. The Tolerable Upper Intake of Vitamin D for adults is 4,000 IU. How much incidental sun exposure do you get? If you are fair skinned, you only need a “few minutes” of summer sun on the face, arms and hands (or equivalent exposure) to get some vitamin D. Dark skinned women could need up to 10 times as much per day to produce the same amount. 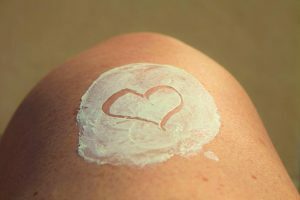 According to the Skin Cancer Foundation, it only takes a few minutes of sun for the UV rays to damage DNA. And of course the sun also causes premature skin aging…hello freckles, dark spots and wrinkles! How Much Vitamin D do You Get from Food? Very few foods are naturally high in vitamin D. While most milk is fortified with it, milk products like cheese and yogurt are generally not. It’s wise to get your vitamin D: 25(OH)D level checked, especially if you don’t see much sun, you have dark skin or you live at a northern latitude. 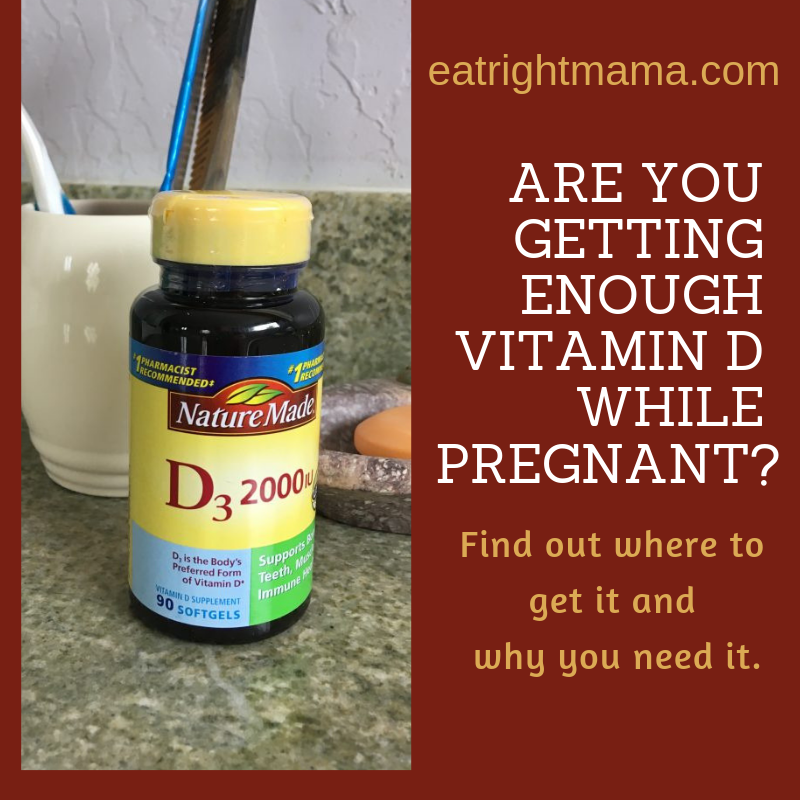 A few studies have shown that even when women took a prenatal vitamin with 400 IU of vitamin D, drank milk and ate fish regularly, 73% of the women and 80% of their infants were considered vitamin D deficient. If your health care provider doesn’t do it on your first visit, ask her to do it on your second one. Hypponen E, Laara E, Reunanen A, Jarvelin M-R, Virtanen SM. Intake of vitamin D and risk of type 1 diabetes: a birthcohort study. Lancet 2001;358:1500-3. Such a great list on vitamin D. Pregnant women learn from here how much necessary it for them. I really appreciate with this list. I am going to share it with my facebook account as a helpful post. Thanks for the sharing this over here. Thanks Pauline! I appreciate you sharing it with friends. Cheers! Hey Bridget thank you so much, i am looking for a complete article and information about vit.D, after reading this information i am so much clear about how to maintain my diet. Again thank you for this article Bridget.